Description:This week we meet the man who knew the secrets of the CIA’s Dark Alliance. From the jungles of Nicaragua to the mean streets of south-central LA, Gary Webb’s groundbreaking journalism uncovered a scandal so huge that the story could not be allowed to continue. Help us honour the memory of this intrepid reporter by exploring the suspicious death and passing on the life’s work of Gary Webb. Description: Explore quality programming from around the world, streaming live across the net. Description: If you have limited bandwidth or are on dialup, use the Cascadia Public Radio archive to download small, low bitrate versions of The Corbett Report and many other quality podcasts and radio shows. 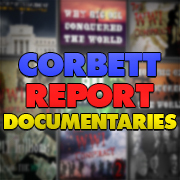 Description: If you ever have trouble accessing The Corbett Report server, you can find back episodes hosted on this server. Currently, all of the Episodes from Episode 070 on are up on their servers. Description: I will be appearing on the Feb 18th edition of the program, so tune in and/or subscribe. Description: Home page of the Five O’Clock Radio Program, where you may be able to download an interview of James Corbett by program host Denis Rancourt. 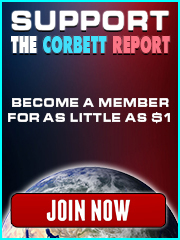 Description: Please consider contributing to our ChipIn if you would like to help insure that The Corbett Report can stay up for another year. Description: Information on Webb’s early life. Description: Gary Webb talks about his groundbreaking report Dark Alliance that began in the San Jose Mercury News in 2006. Description: Mainstream corporate media hit piece trying to convince people that Gary Webb was wrong. Description: Includes comments from DEA whistleblower Celerino Castillo. From Jonathan Elinoff’s invaluable news archive. Description: The first of two explosive CIA internal investigations detailing how the Reagan-Bush administration did know about and condone contra drug running and actively protected the dealers. Description: GWU archive of official documents backing up the Dark Alliance series. Description: The newspaper abandons the story. Description: Includes information about how the Dark Alliance series was abandoned by the San Jose Mercury News and how they even took Webb off his own story. Description: Recorded phone call between Kevin and Ricky Ross who was in jail at the time. Documentation – Was Gary Webb ‘Suicided’ To Kill New Book? Description: How on earth can somebody have two different gunshot wounds and their cause of death still be passed off as suicide? Description: Too little, too late. Great report as always- this ties into the recent and very interesting documentary on Netlix called 13th- about the 13th Amendment’s loophole that perpetuated slavery by enhancing the prison system. You can thank LBJ for blowing the head off JFK, just in time for him to make changes to the Civil Rights Act was signed probably, followed by Nixon’s “War on Drugs”, followed by Bush’s privatization of the prison system in America, followed by the C.I.A’s targeting black communities for the crack/AIDS epidemic. Seems like the freedoms of blacks in America has been continuously stymied since May 9, 1865. James, Thank you for this video version of Gary Webb. It is timely with all the talk about “Fake News”. The “suicide” reminded me of Terry Yeakey’s suicide.. I have to say the “Dateline: CIA and the Crack Epidemic documentary” was a great piece of news journalism for mainstream America. I don’t think we’ll see docs like that on TV anytime soon. I agree. The MainStreamMedia has gotten much, much worse. In 2001, the media was actually reporting about the harmful effects of vaccines. Here is a vaccine news video with a good friend of mine. Circa 2016, the MainStreamMedia vilifies anyone who talks about the harmful effects of vaccines. It’s a well-documented book and even if you think you know about the CIA, you really don’t, not until you read this book. Valentine even shows how the CIA has taken control of the DEA, so they can run drugs into the USA and eliminate competition. Webb was murdered by the same thugs who don’t like light shined on their sinister works. He was shot twice, once in the jaw, which is the old Mafia signal to others to keep their mouth shut. Audio recordings of Valentine’s interviews with several CIA officers, including William Colby, are available at Cryptocomb. An older but still valuable resource is Alfred McCoy’s The Politics of Heroin in Southeast Asia. Thanks a lot for posting this graceful requiem for G. Webb. I’ve seen the movie “Kill the Messenger” one year ago – and I liked it. Because when I was young – in the eighties – I did not know, that he has been the journalist who investigated on this. Anyway, what really called my attention in James’ Podcast was to see Garry Webb himself telling his story. And for that I am especially thankful. I then realised that there is a meaningfull coincidence of the family name ‘Webb’ (= Weaver) and the impact that his story had because of the WWWEB (at 16:50: https://youtu.be/FS-oNTe9kwE?t=16m50s). Let’s honor him by keeping his name and his courage alive! I’d heard this episode a number of years ago, and agreed that somebody who wasn’t in favour with the CIA who shot them self twice in the head strained all credulity, but hadn’t read about this myself at all. – the author’s admission to suppressing evidence of CIA involvement in drug trade in his own writing so that he didn’t end up as another Gary Webb. – the people involved in these attacks, including the names and backgrounds of those reporters that had connections with the CIA. Not all the names had CIA connections, but it was interesting to find names like James Risen in the mix. – the personal issues and depression that Webb had after loosing his job and marriage. In particular, it makes a very good case for Webb’s suicide not being assisted, including a specific first person interview with one of Webb’s friends who stated to her on the phone a few days before his death that he was preparing for suicide (esp. selling his house to resolve financial issues) and had a gun in his hand while they talked. once in the cheek, then a second time in another part of the head, missing vitals, and eventually died by bleeding out. He also talked to a number of those people that were close to Webb at the time of his death, and reports that all of these people did not believe that his death was assisted. This book is very thorough, and informative. After reading it, I am comfortable with the mainstream assertion that Webb did in fact kill himself. That death was definitely assisted by the mainstream attacks on his work, which resulted in his his loss of reputation, job, job prospects, and eventually marriage and family, and finally before just his death, effective bankruptcy. Please explain how “a number of those people that were close to Webb at the time of his death” not believing his death was assisted is a relevant piece of information that would somehow explain/convince you his 2-gunshots to the head death was unassisted.